Youth In Government is a YMCA program that allows middle school and high school students to serve in model governments at the local, state, and national levels. Students are encouraged to learn by doing, and have the opportunity to gain leadership skills in an open and receptive environment. 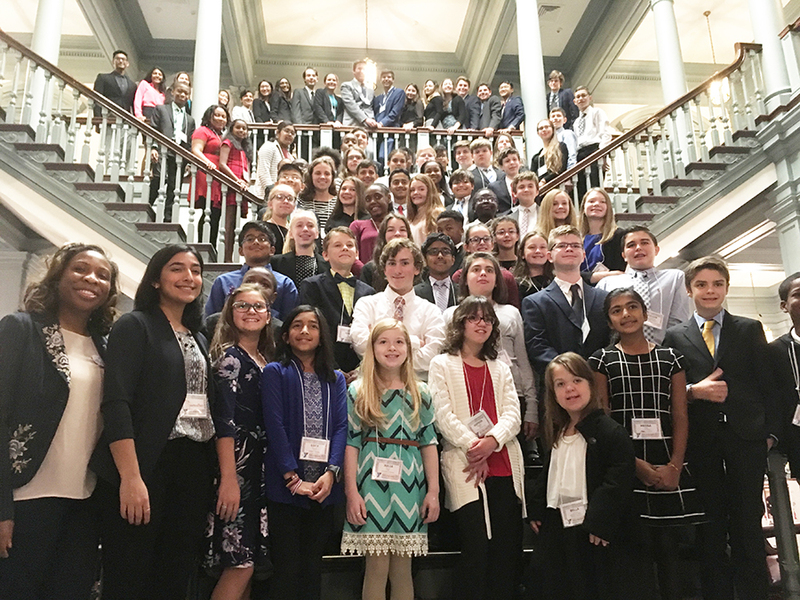 In November, Youth In Government held their middle school conference at Legislative Hall in Dover. Approximately 60 students from eight delegations attended and were tasked with presenting legislation and debating issues with their peers. Some of the topics that were debated included: Tax Reduction Act, Factor Replacement Medicine Bill, Commercial Hunting and Fishing, and the Lunchtime Extension Act. April 12 – 14, 2019. Students will have the opportunity to serve in various roles including: Lobbyist, Journalist, Senator, Representative and Judge. For more information about Youth In Government or to join, visit www.yigde.org. Volunteers are needed to prepare students during weekly delegation meetings, and act as judges during the high school conference.